Today, printing documents and photos has become a lot more convenient thanks to smart printers. 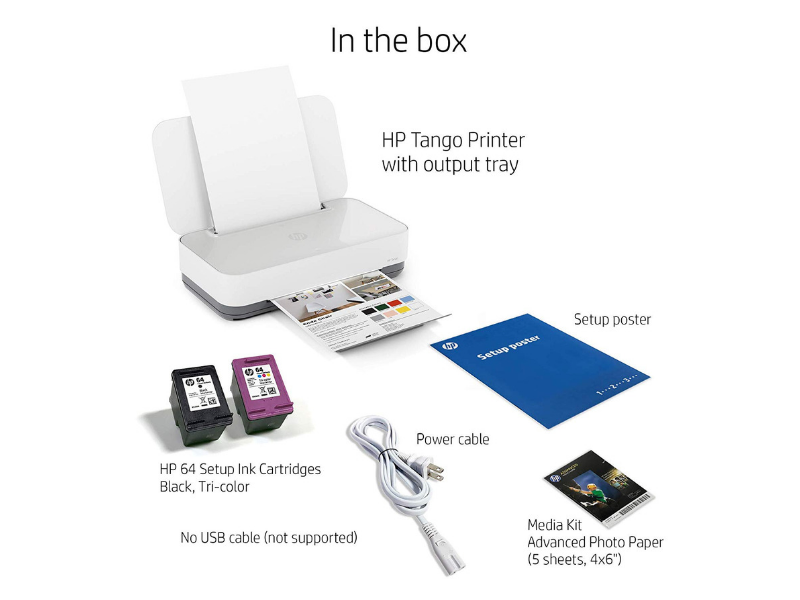 HP Tango Smart Home Printer is a cool compact gadget that makes it easy for you to print from any of your smart devices no matter where you are. Here’s more on the printer that can copy and scan too! When you think printer, big, clunky gadgets are what come to mind. Not the HP Tango Smart Home Printer. This beauty measures just 14.8 x 8.1 x 3.6 inches and weighs 6.8 lbs. It is minimalist with a compact design that blends in with your home decor. Cover it up with a trendy fabric over (Indigo Linen, Charcoal Linen or Cork Currant) and put it on your desk and it will fit right in with the rest of your stationery. 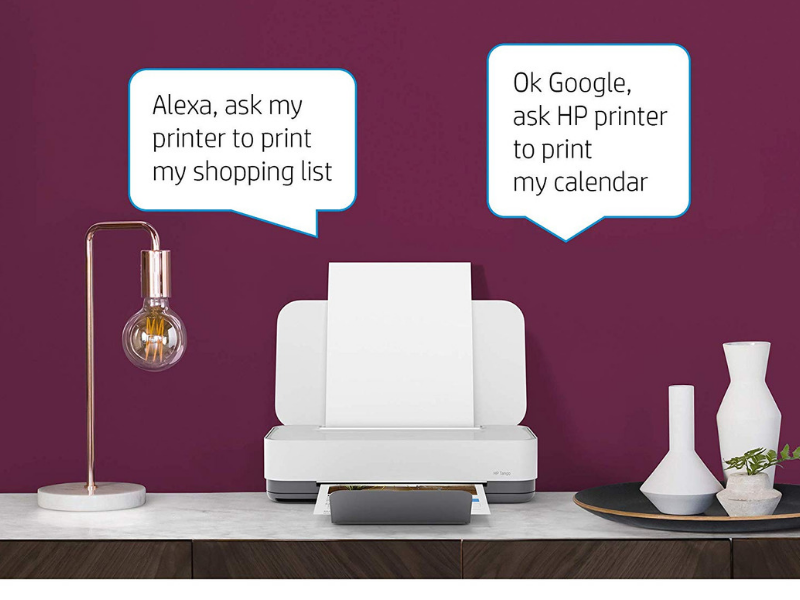 What is most impressive about the HP Tango Smart printer is that it can be controlled using voice commands or via the HP Smart app. If you prefer to take the traditional route, that works too. Just plug it to your computer and start printing. The best use-case though is via the HP Smart app. You can print from anywhere via cellular data or from a remote Wi-Fi connection. Once you connect the app to a printer, you can send a document to family members while you’re away or on the road. You can even take a photo of a receipt for printing later. The HP Smart app has all the print customization and editing options you’ll need for printing. You can scan, edit, save, and send items to the printer with just a few taps. The app straightens, crops, and resizes documents as required so you can take better prints. This way you avoid the hassle of opening an external app for editing the documents before printing. 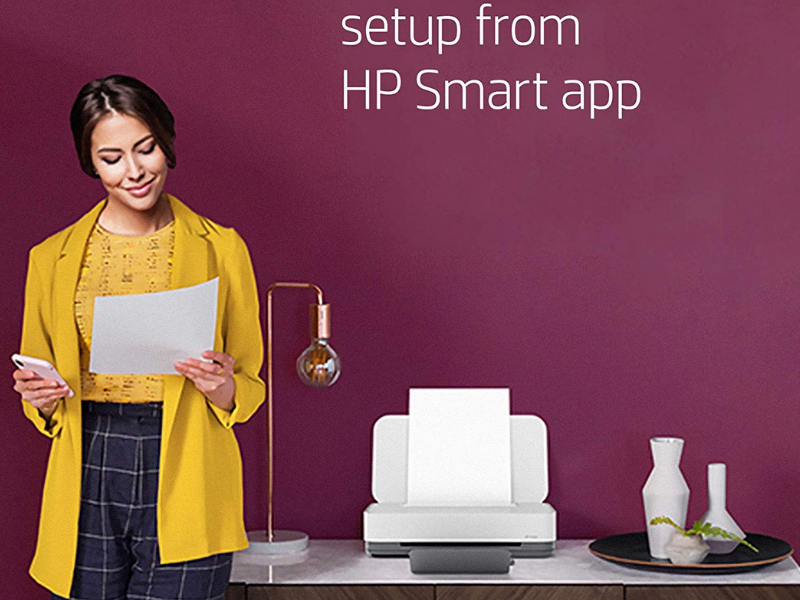 The HP Smart App Notifications alert you to problems with the printer, when a print job is complete or if the device cover is closed. It lets you track ink and paper levels, so you never run out of supplies in the middle of a job. Tango is also compatible with smart assistants like Microsoft Cortana, Amazon Alexa and Google Home. You can just take your pick of virtual assistant and issue voice commands for your prints. At the top of the printer, are buttons and indicator lights for powering the printer, canceling a print and so on. The buttons are also smart, displaying controls on a need-to-see basis. For instance, if you don’t have the need to resume a printing action, the button command will not show up. HP Tango keeps it simple and easy to deal with. 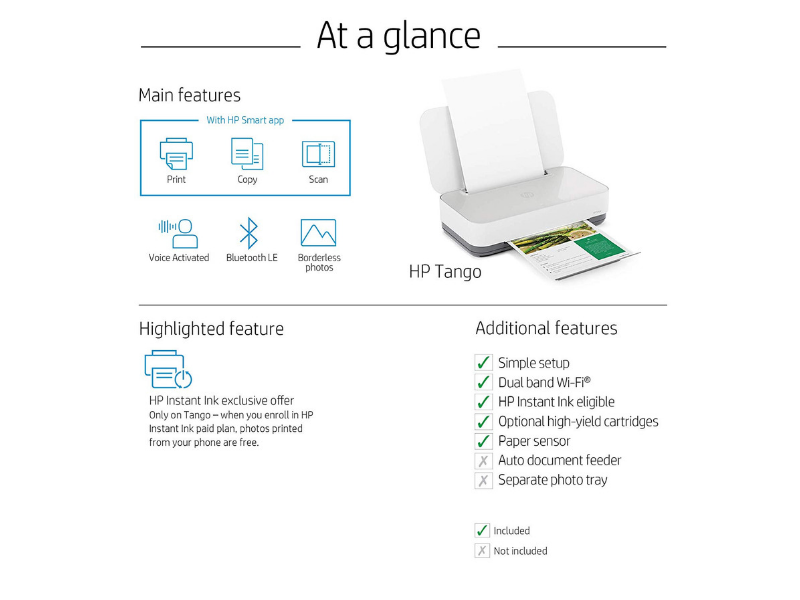 The HP Tango Smart Printer is easy to setup, lets you print from anywhere and has options to scan, copy and print via a connected app. It’s a handy gadget to own if you are comfortable interacting with smart gadgets like Alexa and Google Home. If you hate clunky looking gadgets that clutter your living space, this gadget is worth investing in as it fits right into your décor. HP Tango Smart Printer is available on Amazon for $149.99. Check it out and tell us what you think!